Til the Break of Dawn: New Twilight Goodies! 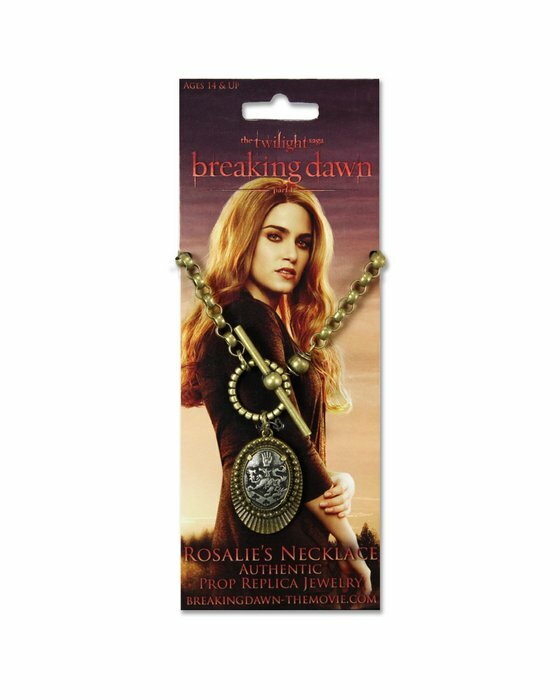 You are here: NECAOnline.com » Blog » News And Announcements » Til the Break of Dawn: New Twilight Goodies! We’re about a month out from the release of The Twilight Saga: Breaking Dawn Pt. I, and we here at NECA are celebrating as we always do: By unleashing a full wolfpack/coven’s worth (depending on whose team you’re on) of new Twilight merchandise! Whether you’re looking for jewelry (bracelets, prop replica necklaces, dog tags, etc.) or a velvet-lined box to keep it in, from bedding to carabiner water bottles, we’ve got you covered like never before. 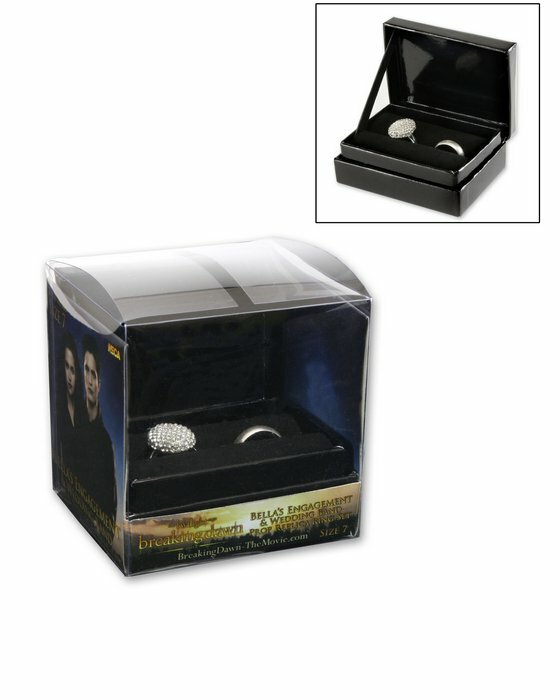 As the newly-married Bella and Edward Cullen await the arrival of their maybe-monster half-vampire hybrid child and conclude one of the most epic vampire stories in recorded history, you can do it up with your very own replicas of her engagement and wedding rings, her comb and box, and her wolf and half-moon charm bracelet — all stunningly recreated and completely accurate to the movie! 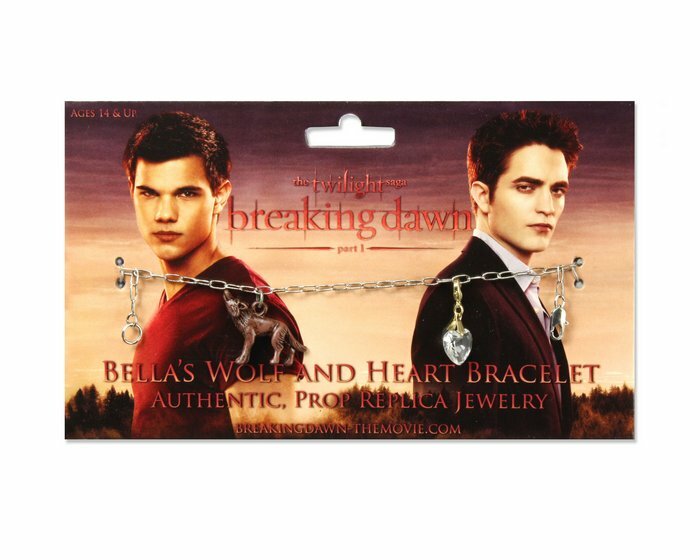 You can find Twilight Jewelry on Amazon, along with Twilight Action Figures too. Just in case you’ve ever said something like, “I’m Team Jacob, tattoo it on my forehead,” now you can make good on that promise. They’re temporary, of course, but we’re willing to bet you still get some looks (Team Edward available as well). There’s also stickers, magnets, two different lunchboxes (Edward and Jacob), a whole slew of keychains, bag clips, earring sets, and so much more, it’s ridiculous. You could basically spend the next month until the movie comes out browsing through our massive collection of Breaking Dawn goodies, and then, once you’ve got it all, you can get your Twilight fix with the locket and the bookmarks and the awesome wooden bracelets for the next year while you wait for the second part of Breaking Dawn to be released. And you know we’ll have even more stuff to mark that occasion, so check out all our latest Twilight items here and keep it tuned to NECAOnline.com for more to come!